Please note this is the third book in the Pushing the Limits series, however, the characters are only slightly connected so there will be no spoilers! Rachel is a good girl from the right side of the tracks. Growing up the youngest from a well to do family, she craves the speed her Mustang GT gives her. It’s where she can think, where she can dream, where the truth of her reality doesn’t have to exist. Isaiah is living on the edge, literary. Barely getting by, his only hope is to pass a test that could open every door to a future he never thought could be his. Then one night everything changes for both Rachel and Isaiah. It was supposed to be the final time for Isaiah. Rachel chose the wrong night to breach the underworld of drag racing. Now they owe the roughest guy in town, and he will do whatever it takes to get what is his. She’s a blonde eyed angel and he’s a tattooed saviour also in need of rescue. When they start to fall in love, will it make matters worse? Or build them their stairway to heaven? I’ve really enjoyed how different McGarry makes each of her books in this series. It keeps me coming back for more and I still get a thrill each time one of the past characters makes an appearance. It’s like a healthy ecosystem of narrative. This book doesn’t disappoint and follows the same flow as the others. I loved Rachel’s backstory and it’s nice to be able to get into Isaiah’s head! I felt the language, the setting, the premise of the plot all worked really well. It starts off a bit slow, but boy, does it pick up! The growth within the characters is natural and genuine, causing me to tear through the final chapter to know what happens! It’s also important to note that the issue of pride is put on a more relatable level. I had to take a step back to be able to see it, and it’s something that McGarry does well. Her characters are so real, full of flaws but still capable of growth. Rachel doesn’t want to be rescued and she fights for her chance to help and fix the issues on her own. Isaiah is deep and fragile in his own way, something his persona won’t allow others to see. Everything is a race against time in this third book and it was well worth the wait! 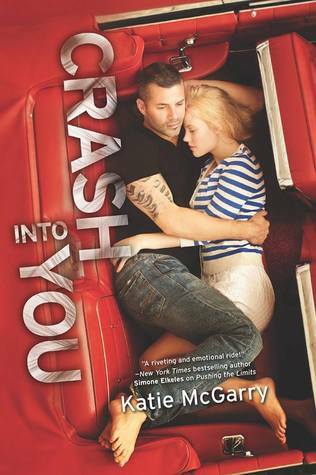 My dear readers you know I am not a fan of romance, but for McGarry, I’m always thrilled to make the exception. Her romance has depth, heart and controversy that makes this series a romance standout!